Cellulite: Anti-cellulite treatment needs activity and stimulation. Instead of only treating the surface, miha bodytec activates the muscular and connective tissue in its entirety which leads to better circulation and the reduction of superfluous fat cells. The result is a firmer, tighter body! 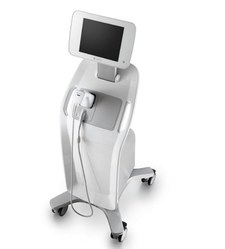 Our Company is one of the reputed names in the market for offering a wide assortment of LCD 20 CH Body Shaping System at very affordable rates with the support of our professionals. How to work cryolipolysis machine. The vacuum pulls the adipose tissue away from the body's core along with the surrounding skin folds to prevent the tissue from being warmed by body temperature.